This article explains how to use Avios points to upgrade British Airways flights. I run occasional articles on the vexing question of ‘What is an Avios worth?‘ – click that link for the latest version. The maths shows that using your Avios to upgrade a flight is often the most valuable use of them. In particular, upgrades from World Traveller Plus to Club World are a great way to redeem for people who only earn a relatively small number of Avios per year. You can’t say the same for upgrades from World Traveller. As I show below, for the general public buying their own tickets, it is possible – due to the fare bucket – that they will never buy a ticket that is upgradable, let alone find that reward upgrade space is there. British Airways should not be advertising the ability to upgrade economy tickets as a benefit for the average Avios collector, because it isn’t. Technically, the process of using Avios to upgrade is now called – fairly logically – ‘Upgrade Using Avios’. However, many people still call it ‘Miles for Upgrade’ or MFU, since that was the name BA used in the past. Both name refer to the same process. Here is the official ba.com page explaining how upgrading with Avios works. What do I need to know if I want to upgrade my flight with Avios? You can only upgrade if there is Avios reward availability in the higher class. This means that your ability to upgrade may vary from day to day depending on whether Avios reward seats are opened up on your flight. You cannot upgrade the cheapest non-refundable Economy tickets. Booking classes Q, O and G cannot be upgraded. This is the biggest downside of the scheme, and the one that hits the ‘casual’ leisure traveller the hardest. British Airways has made some positive improvements here in the last couple of years, with more tickets types now qualifying, but the cheapest tickets can still not be upgraded. In any event, World Traveller Plus – the next category up – is a small cabin so the opportunity to upgrade will always be limited. You will also need to pay the higher rate of Air Passenger Duty if moving up to WTP. On a multi-flight ticket, you can upgrade legs one at a time as availability comes up. You do not need to upgrade every flight on your itinerary at once. You can choose to just upgrade one leg of a ticket. You may, for example, be happy in World Traveller Plus on a day flight but prefer to upgrade to Club World if the return is overnight. You earn Avios and tier points for the class you originally booked. Sometimes, for technical issues, your flight will post with 0 Avios, but a quick call to BA Executive Club will get this fixed. You can upgrade a ticket issued by a travel agent. This is great news for anyone who wants to upgrade their work trips. If ba.com throws up an error message when you try to do this, as it often will, you will need to call. It is unlikely that package holiday tickets (except for BA Holidays) can be upgraded as these are usually issued as Bulk Tour or Inclusive Tour tickets which are excluded. How do you upgrade a flight with Avios? It is a simple process. Go to ba.com, enter ‘Manage My Booking’ and select the relevant flight. At the bottom of the page will be an option entitled ‘Upgrade Using Avios’. The key point to remember is you can only upgrade a flight if there is reward seat availability in the higher class. If there are no Club World redemption seats available, for example, you will not be able to upgrade a World Traveller Plus ticket. Do keep checking back, however, as reward availability moves around from day to day. You are especially likely to find seats opening up in the last few days before departure. 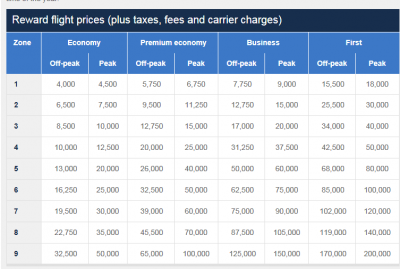 So, what does it cost to upgrade with Avios? The cost of upgrading from World Traveller Plus to Club World using Avios increased sharply in April 2015. This was very unfortunate as this was the most popular upgrade. A return upgrade will cost you the difference between the Avios needed for a return flight in the upgraded cabin compared to the cabin in which you are already booked. Here is the major irony of this pricing method: upgrading to Club World on off-peak days costs MORE than upgrading on peak days! There will be some additional taxes to pay when you upgrade. The fuel surcharge is higher for Club World compared to World Traveller Plus. You will also be asked to pay an additional sum if taxes have gone up between the day you originally booked and the day you do the upgrade. If you are upgrading from World Traveller (Economy) to World Traveller Plus, you will also need to pay an extra chunk of Air Passenger Duty. The Government sets two levels of APD – one price for Economy and one price for all other classes. Are Avios upgrades good value? Whilst not as good a deal as they were, there is still value to be had by using your Avios points to upgrade. Let’s imagine that the typical price gap between World Traveller Plus and Club World is £1,000. This means that you would be getting between 1.66p and 2p per Avios point of value using the San Francisco example. This is a far better return than you get from an ‘all Avios’ redemption. And, of course, you will earn back a large percentage of the Avios points you spend on the upgrade when you take the flight, because your underlying flight still qualifies for Avios and tier points! Can I upgrade flights on other airlines using Avios? Yes. You can upgrade American Airlines and Iberia flights using Avios IF you booked the ticket via British Airways. For economy flights, you need to be holding a fully flexible economy ticket (Y or B class). Iberia is slowly introducing Premium Economy on long haul. Iberia does not have First Class so you cannot upgrade from Business. American Airlines has international First Class on a limited number of routes but you MUST be holding a fully flexible (J, C or D class) ticket. You cannot upgrade flights with any other airline. As you can see, MFU / Upgrade Using Avios offers good value for your points. It is a shame that discounted Economy tickets do not qualify, although the small number of World Traveller Plus seats available for redemption means that most people would be disappointed anyway. Upgrade Using Avios is also a very efficient way to redeem your Avios if you only collect, say, 50,000 per year. PS. It is also possible to use American Airlines miles to upgrade British Airways flights, under certain circumstances. Click the link for our last article on this. As Rob mentions, do be careful of WT+. I purchased WT+ flights from the American Express travel agency online (as standalone tickets, not part of any package) and there was absolutely no indication that they were these restricted tickets. Nothing in any of the documentation, screens you go through for booking, including the tickets themselves, or the fare class indicates they are anything but standard WT+ tickets. Then I spoke to BA to upgrade them as I couldn’t online in manage my bookings and they informed me of this subclass of WT+. It is outrageous that there is no way at all to tell that the fare / ticket is a restricted one. Even on the BA website in manage my bookings the tickets show as the standard WT+ booking class. There should be a seperate booking class for these restricted WT+ tickets. It truly is a disgrace. Imagine buying a Y or J booking class ticket to be told later that “Oh, but this is a special kind of Y/J which isn’t like all the other Y/J tickets but is in fact restricted”…..then why the f**k is it sold as a Y or J ?! That’s why there are different booking classes for f**k’s sake. It really is an absolute disgrace when these restricted WT+ tickets could be in a different booking class…..as is done with every other cabin. It’s not the travel class but the type of ticket. Looks like AMEX sold you tickets which should be bundled in holiday packages which are restricted as to what you can do with them. Would not be the first time this has happened to a reader. Several airlines use J booking class for group tours, Expedia sometimes incorrectly sells these as “business” class though you should know what to expect from the price. Did you have a connection somewhere? They may have been “married segments”. This means that in order to get any upgrade with Avios, availability on both flights needs to exist. I’ve come across this when booking work trips starting at EDI and connecting through LHR. Even though avios availability exists on my long haul sector, it did not exist on my domestic one, hence, computer says no. I had this and called Amex and they agreed to convert it to a published fare for £1 extra. I can never tell which class of ticket I’m booking on BA.com. I once tried to book PE to the Caribbean to then upgrade to CW with avios but the cash price came out as £2.2k pp which is more than they often charge for CW anyway! Am I doing something wrong?! Yep. Never use ‘book and upgrade’, it’s a well know issue with dual-inventory fares where BA sell WTP for a fixed ‘surcharge’ over WT. The ‘book and upgrade’ system can’t see these dual-inventory T-class fares so tries to sell you W bucket instead. The answer to this is to buy a WTP ticket then upgrade afterwards in a separate transaction. Thanks – I really meant which box do you tick when making the booking, e.g. can you go for the cheapest non-refundable option which I what I would do if booking a cash ticket generally? Can you use ‘upgrade using avios’ on A ba flight booked on American Airlines . Flight number is AA. Do you lose your Tier Points that you gained from the original cash ticket when you upgrade with Avios? Not unless it is fully flex. Another great article – thanks. In this scenario you would be cancelling your PE redemption and using Avios + cash to book CW? Sometimes you might get a promotional offer for a cash upgrade on a reward ticket shown in ‘Manage my booking’. Beware: Even after upgrading you still don’t earn Avios or Tier Points becasue the system still sees it as a reward ticket. Is there a sweet spot where it makes more sense to buy a WTP and upgrade then just take the CW ticket for full avios ? It feels like there must be but I can’t get my head round and how to calculate it. Anyone have a rule-of-thumb to use ? The *key* is to book an ex-EU cheap WTP ticket (there have been £600 from GVA to California). 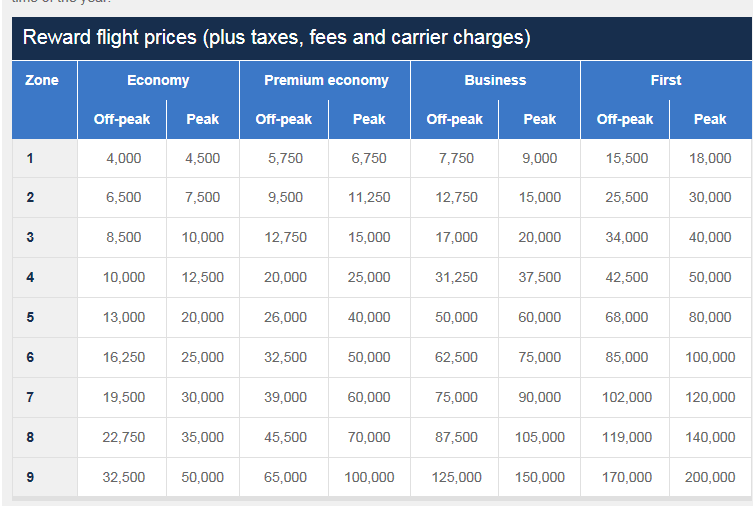 Then you just use Avios to upgrade the long sector: it’s cheaper to upgrade peak dates. It’s a way to get a cheap CW experience. I know there’s alot of information on the site in the comments sections around non South East airports (Manchester) and avios redemptions. Any chance of an article summing up any remaining options as I must say I’m very lost now that flybe is going.. I agree that would be useful but I fear it might be a very short article! There is an article in this series on regional options but will be slim this year without Flybe. Thanks Rob, I’ve wasted a companion ticket previously so just want to get rid of any avios left now! Do BA publish the cash charge element of upgrading this way and does it vary dependent upon route? I know for example that currently it’s £100 per segmentt each way for UK-East Coast flights WT+ to CW and I believe it’s higher CW to First although to what extent that applies across other routes I don’t know. What level tier points do you get. Is on the original booked class or on the higher upgraded class? Searching for reward flights for a Lloyds upgrade voucher on Avios.com seems broken (all X’s even though RewardFlightFinder.com shows availability). Is it? Should I use the call centre? I am trying to find out if I can upgrade using part avios and part cash. Cant see any comment on this. I know its possible with flights.